Although undoubtedly a great humanitarian, Jonathan Swift was also capable of outbursts of spite. As evidence of which one cites his short essay Character of Primate Marsh, believed to have been written around 1710 (although only published thirty-five years later). In this piece of invective against the then-Archbishop of Armagh, Swift wrote ‘Marsh has the reputation of the most profound and universal learning; this is the general opinion, neither can it be easily disproved. An old rusty iron-chest in a banker’s shop, strongly lockt, and wonderful heavy, is full of gold; this is the general opinion, neither can it be disproved, provided the key be lost, and what is in it be wedged so close that it will not by any motion discover the metal by the clinking…No man will either be glad or sorry at his death, except his successor.’ Certainly following Marsh’s elevation to the primacy his successor in the archdiocese of Dublin William King was equally unkind, describing him as being ‘very dextrous at doing nothing.’ Of course unlike Swift and King, and despite being a Lord Justice of Ireland on six occasions, Marsh does not appear to have been particularly interested in politics and this could explain the two men’s dismissive remarks. 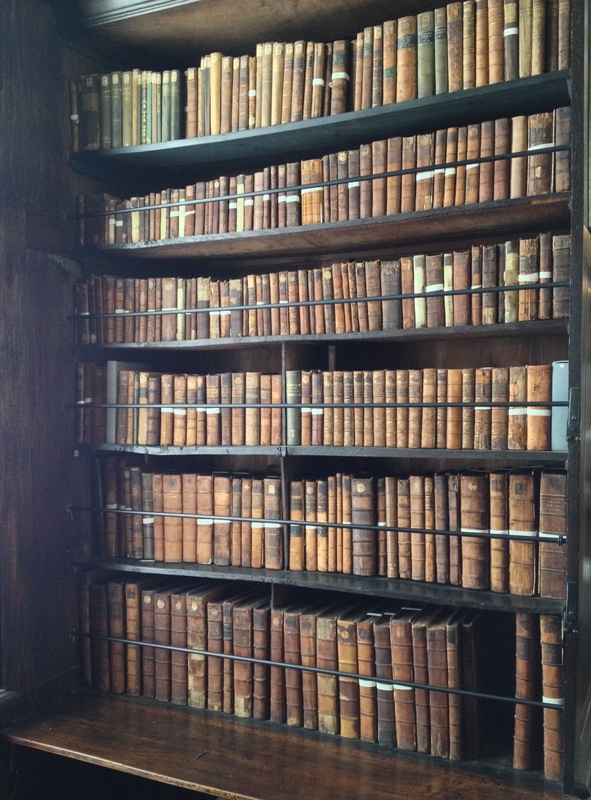 Because despite what they might have thought and did write, Archbishop Marsh was far from being an ineffectual cleric and left a lasting and generous legacy through the establishment of the first public library in Ireland. Narcissus Marsh was born in Wiltshire in 1638 ‘of honest parents,’ as he wrote in his diary. His name, while unusual, was not so distinctive as that given to either of his two brothers who were christened Epaphroditus and Onesiphorus: all three derive from persons mentioned in St Paul’s Epistles. While an undergraduate at Oxford Marsh decided to take orders and soon after was offered a living in Swindon, only subsequently discovering that he was expected to marry a friend of the people responsible for his preferment. This he refused, having determined never to marry since he believed he could only serve the church while a bachelor. Returning to Oxford he continued his studies until appointed Principal of St Alban Hall in Oxford by the first Duke of Ormond who was Chancellor of the University; it was presumably through this connection that in 1679 he came to Ireland to take up the Provostship of Trinity College in Dublin. One of his greatest achievements during this time was arranging for an Irish translation of the Old Testament (the New Testament having already been translated earlier in the century). He also employed, at his own expense, a former Catholic priest, Paul Higgins, to teach Irish to the students at Trinity College and to preach an Irish sermon once a month; seemingly both sermons and lectures were extremely popular. Marsh was appointed Bishop of Ferns and Leighlin in 1683 but following the accession of James II found himself much harassed and eventually retreated to England, only returning to this country after the Battle of the Boyne. 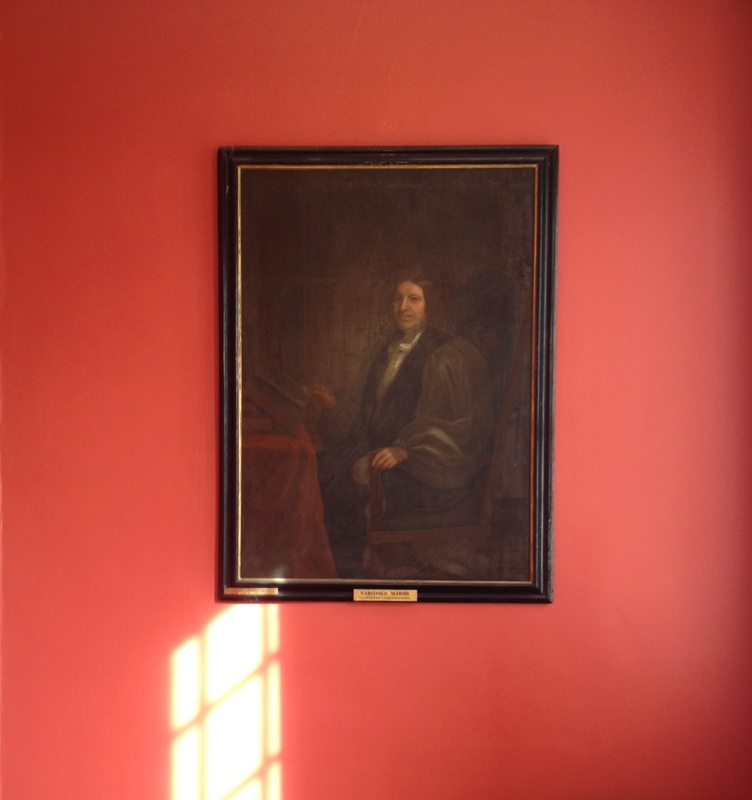 In 1690 he was made Archbishop of Cashel and four years later moved to Dublin. Finally in 1703 he became Archbishop of Armagh and remained there until his death ten years later. 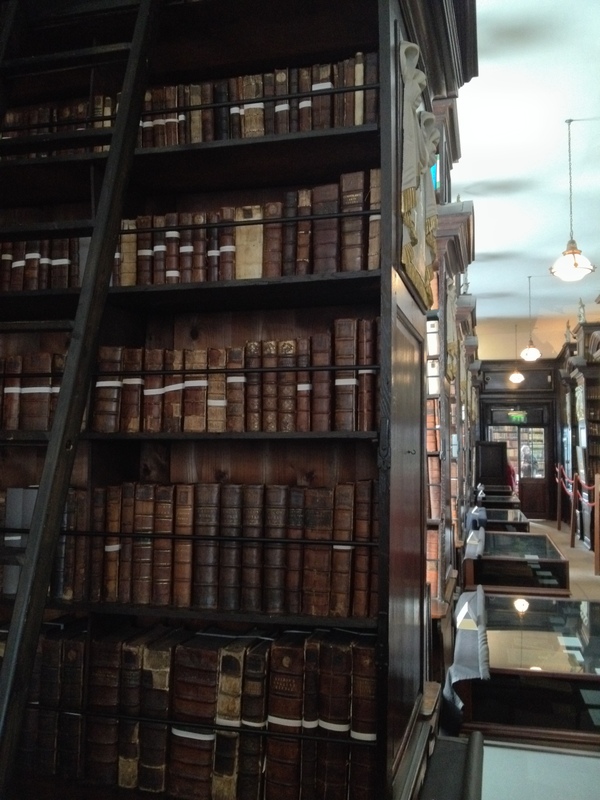 One of the few 18th century buildings in Ireland still used for its original purpose, Marsh’s Library holds a collection of over 25,000 books and 300 manuscripts. There are eighty books printed before 1501, 430 books printed in Italy before 1600, 1,200 books printed in England before 1640 and 5,000 books printed in England before 1700. 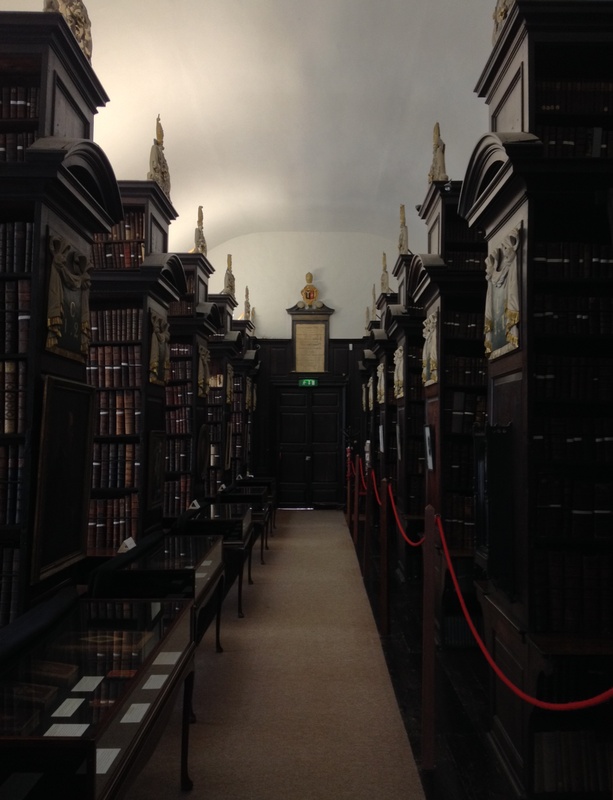 At the heart of all this material is the library assembled by Edward Stillingfleet, Dean of St Paul’s Cathedral, London and from 1689 Bishop of Worcester. Following his death in 1699, there was much public interest in what would happen to Stillingfeet’s books, deemed to constitute the best private library in the British Isles. 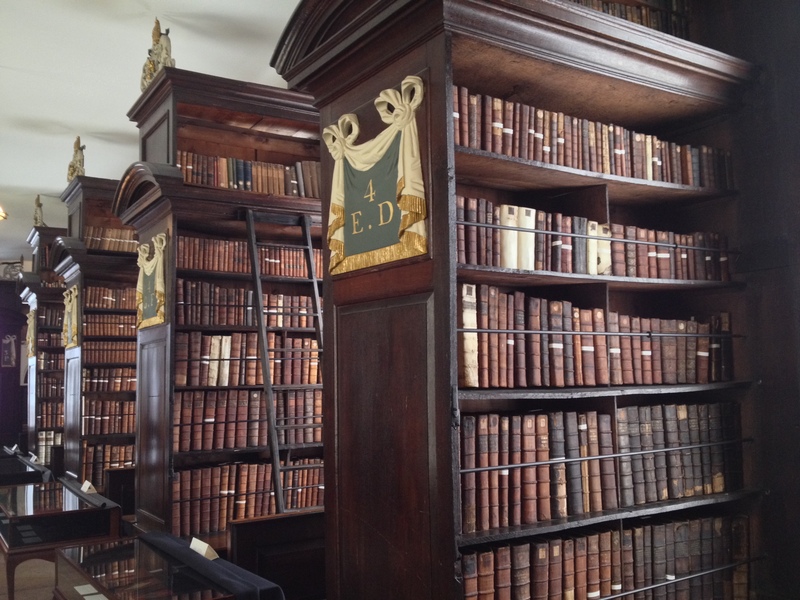 Efforts were made to keep it in England but in 1705 the entire printed collection of almost 10,000 books was purchased by Marsh for just over £2,000 and brought to Dublin where it has remained ever since. It contains works on diverse subjects including theology, history, the classics, law, medicine and travel, whereas Marsh’s own collection reflects his interest in oriental studies including Arabic and Hebrew books as well as his engagement with the Irish language: in 1695 he had bought a number of manuscripts belonging to the distinguished jurist and orientalist, Dudley Loftus (of whom Marsh wrote that he ‘never knew so much Learning in the Keeping of a Fool,’ although this did not stop him acquiring Loftus’ collection). 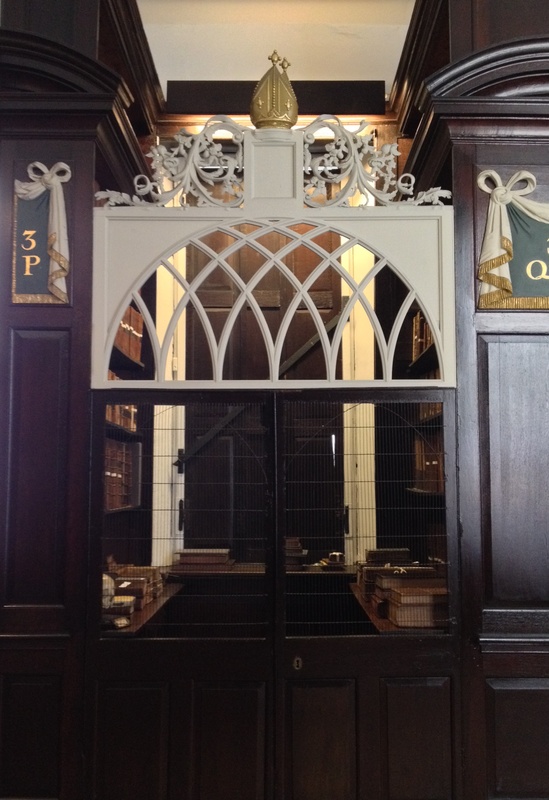 Not only have the contents of Marsh’s library scarcely altered since originally assembled by its founder, but so too has its appearance remained much the same. Built at a cost of £5,000 the core of the building was designed 1701-3 by Sir William Robinson who for the previous three decades had acted as Surveyor General of Ireland and whose other extant works include the Royal Hospital, Kilmainham. 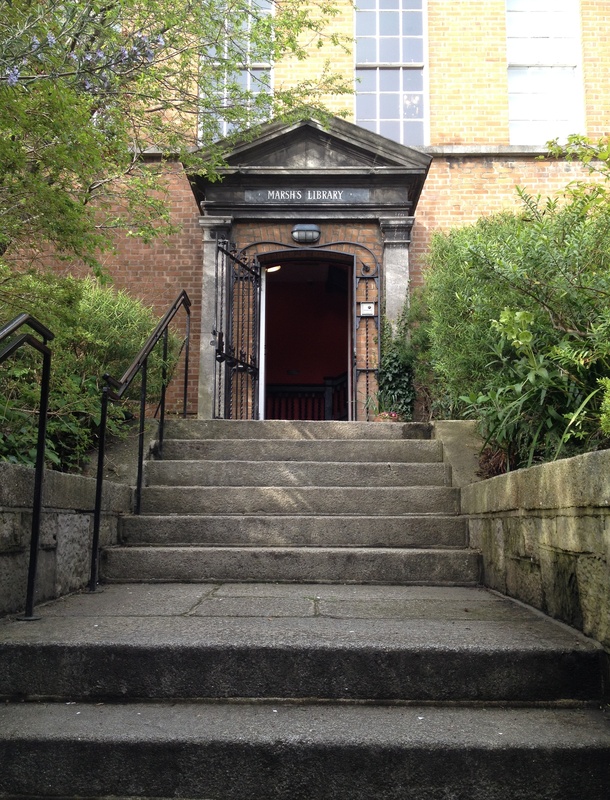 In 1710 Thomas Burgh, who had succeeded Robinson as Surveyor General, extended the library by adding another wing and also designed its entrance porch. Thereafter little happened structurally until the mid-19th century when, as part of the restoration work to St Patrick’s Cathedral underwritten by Benjamin Lee Guinness, a new entrance front and stair hall was built, as well as a Gothic gateway. At the same time the easterly churchyard elevation was clad in limestone, but the 18th century brick courtyard on the other side of the library survives, as do the original interiors. The library proper is primarily composed of two first-floor galleries, the earlier (designed by Robinson) running sixty feet south-north, while that added by Burgh at right-angles to the north corner is linked by a librarian’s room and runs seventy-six feet west-east. 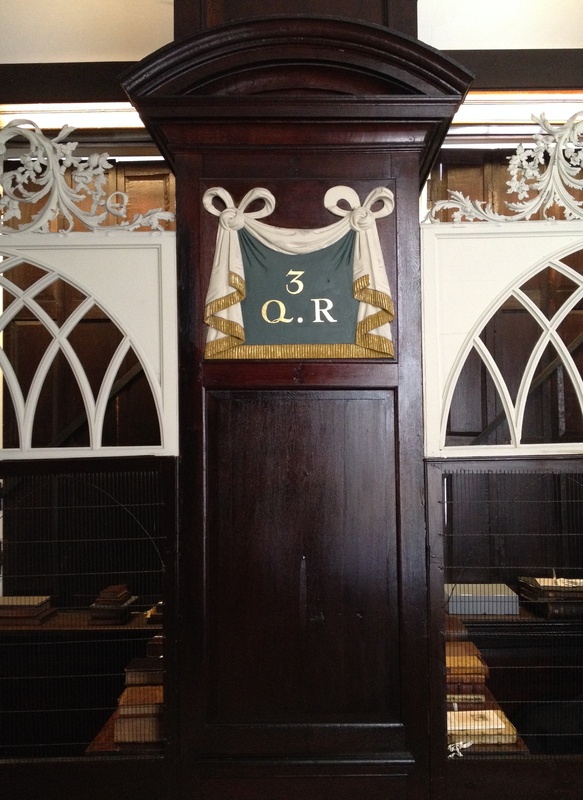 At the latter end is a short further extension which originally provided direct access to the former Archbishop of Dublin’s Palace of St Sepulchre. This stretch is distinguished by having three enclosed alcoves known as ‘cages’, their carved timber tympana decorated with gothick tracery and finials: these spaces were intended to ensure the safety of the smaller, more valuable books since users could be locked inside. The main galleries are indebted for their appearance to Oxford’s 17th century Bodleian Library, with which Marsh was familiar from his time at that university, and which he cited in correspondence when discussing his own intentions; he wrote to a friend and fellow cleric Dr Thomas Smith that the Dublin building’s upper part ‘is contrived like the cross part of the Bodleyan Library.’ On either side of both galleries and at right angles to the windows are a succession of dark oak bookcases, the stack end of each treated as a pedimented pier with painted and gilded cartouches bearing classmarks while the top is surmounted by carved cartouches with mitre and stole finials. The uniformity of this design, and the fact that it has not been subject to alteration, helps to give the galleries their special character and to link today’s users to their 18th century precursors. 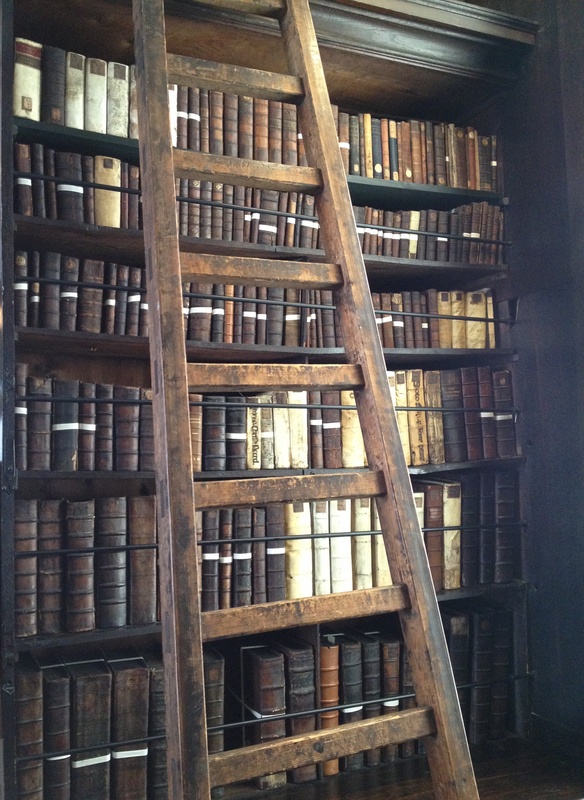 Marsh’s Library remains dedicated to its original purpose but in addition welcomes visitors and hosts temporary exhibitions (the next of which, Imagining Japan, 1570-1750, opens to the public on April 16th). It is one of our best and least changed bonds with the dynamism of Georgian Dublin, an era more often honoured in the breach than in observance of due respect for its achievements. 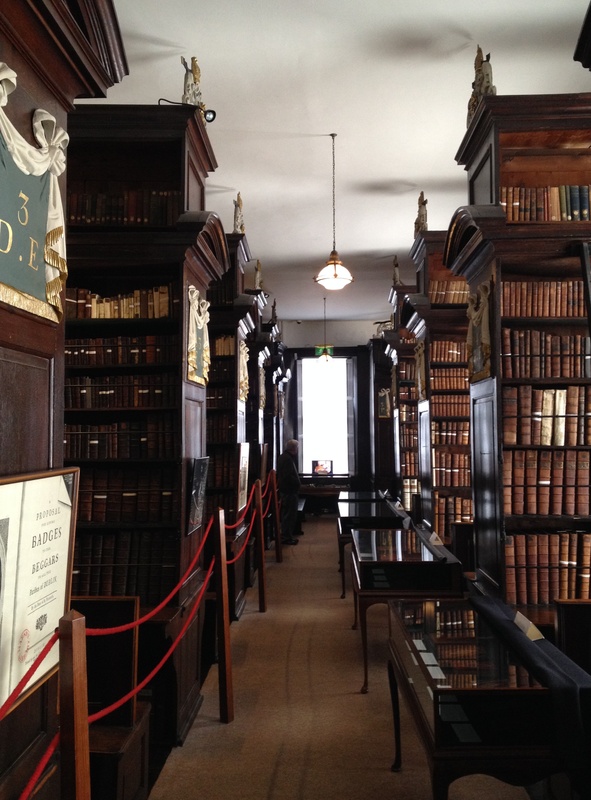 But by remaining true to the founder’s original wishes Marsh’s Library both honours the past and bears witness to the erroneousness of Swift’s unkind remarks.